Though this was far from a busy year at Faith By Hearing, we do have a number of audio recommendations that stand out as ones that you don’t want to miss. By far the most memorable conference of the year was this year’s T4G. Mark Dever opened the conference with a powerful look at how the church put’s God’s glory on display. R. C. Sproul took us on a theological journey with the misfits of German higher criticism and shows how contemporary Christianity is making the same mistakes today. Al Mohler explained how evangelical zeal often undermines the Gospel. MacArthur looked at the theology of sleep, a tongue and cheek look at differences between the Arminian and Calvinistic view of salvation. And then followed Ligon Duncan, C. J. Mahaney, John Piper and Thabiti Anyabwile. Michael Reeves knows church history, particularly the Reformation. This is one of the best discussions of church history that I’ve heard. Mark Dever interviews Michael on his book of the same title, which is a book that has become one of Dever’s required readings for his interns. Carl Trueman gives a powerful message about the preacher standing as God’s prophet in a day where churches reject this view of preaching and preachers. Steve Lawson talks about his book by the same name, providing a lot of rich exhortation about living a life of holiness. Gabe Flurher discusses the contemporary attacks on the atonement with the boys at Christ the Center and brings out some highlights from his book “The Atonement”. Mark Noll and Daryl Hart discuss how the history of Christianity in the United States has shaped modern day Christianity and show how some past mistakes have defined our understanding of our faith. This was an interview on Christ the Center. How should a pastor think about his preaching? Sinclair Ferguson brings the wisdom of his incredible ministry to help younger preachers grapple with their call to preach the Word. What a phenomenal offering. Along with expository instruction, Steve Lawson looks at the expository preaching of John Calvin, Iain Murray looks at Martyn Lloyd-Jones, and Craig Dyer tackles John Bunyan. Peter Grainer takes a lengthy look at Jeremiah. Two titans discuss pastoral ministry — MacArthur’s ministry of 40 years in the same pulpit. David Powlison tackles a very difficult subject: How do we handle suffering as a Christian? We will all face this question in our lives, either by facing suffering ourselves, or being in the place of ministering to some who face unthinkable suffering. You Can’t, But You Must! In this sermon on Matthew 26:41, Dan Phillips (of Pyromanics fame) offers an impactful challenge to Christians who think they can overcome their sin by sheer willpower. It’s that time again where we look back and highlight the many most memorable audio selections of the year. 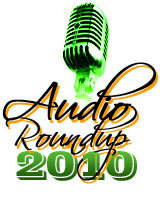 We have 14 entries for 2009, which comes to over 40 mp3s. Both Keller and MacArthur delivered a series of sermons on this popular parable, and these messages spawned books by both. MacArthur’s is titled “A Tale of Two Sons.” Keller’s is “The Prodigal God.” Both series cut through the banal pig sty of therapeutic preaching that has clouded this amazing parable. Al Mohler, A Look at the Shack. Given our Christian culture’s fixation with this fictional work of post-modern, emergent Christian confusion, Mohler carefully looks at the most troubling aspects of the Shack, and provides us with a clip of author William Young denying penal substitutionary atonement. This is an important session given the continued and growing popularity of Young’s brand of false gospel which is seeing new writers publishing similar books in this same vein. Great conference this year. MacArthur talks about his ministry, expository preaching, and the necessity to maintain a young Earth 6 day Creation. Paul Washer gives two scathing sermons that will rattle some cages. His Ten Indictments Against the Modern Church, and his ‘Most Shocking Sermon‘ strips away the confusion about the nature of salvation. Gerhardus Vos, Interviews with biographer Danny Olinger. Vos is an important figure in Christian history that we should know something about. Both his life and theology are worthy of our attention. Fortunately, we have two interviews with Vos biographer Danny Olinger that help us get to know Vos and the impact of his theology. Entrusted with the Gospel Conference. Build a conference around Paul’s first letter to Timothy, and invite Don Carson, Tim Keller, John Piper, C. J. Mahaney, Phil Ryken, Ligon Duncan and Bryan Chapell to speak. Need I say more? David Robertson, Interview at Christ the Center. David Robertson is one brave pastor who wrote an open letter to Richard Dawkins exposing the flaws and shabby arguments he raised against Christianity in his bestselling book, The God Delusion. Dawkins posted Robertson’s letter on his website and Robertson soon found himself in a lengthy debate with Dawkins minions. Robertson used the opportunity to write a rebuttal to each of Dawkins chapters in his book. These letters have been published in a book titled The Dawkins Letters. Here Robertson is interviewed about his experience and conviction to use these heated opportunities to proclaim the gospel. Mohler takes a sweeping look at the new atheist movement and provides us a great footing for understanding them and engaging their arguments. At this years Twin Lakes Conference, Ligon presented two messages of vital importance that you should not miss. The Erosion of Inerrancy in Evangelicalism with G. K. Beale and Carl Truman. The inerrancy of Scripture was argued and settled in the 20th century, but now just a few decades later the issue is erupting again in the post-modern crowd and many segments of evangelicalism who remain ignorant of history. Don Carson on Preaching through Books of the Bible. Is anything by Carson not interesting and helpful? In this message Carson talks about craftsmanship — the preparation for expository preaching. Ken Myers, Christians & Culture. Mark Dever interviews Ken Myers of Mars Hill audio. Myers is a fascinating man with the unique gift of examining culture and contemporary issues from a Christian worldview. MacArthur’s messages are outstanding and timely. He reflects on the convictions that he formed as a young pastor and traces them through his 40 years of ministry. His messages are a good antidote to the contemporary fixation with church growth and marketing methodologies. It would be irresponsible of me to fail to mention one particular series that is of tremendous help to the church today. This year Wayne Grudem completed his 5 year series teaching through his splendid systematic theology. This incredible series is now on iTunes for very easy access. I highly recommend you take the time to buy his book and go through this audio series. If you want to build deep roots in your faith, this is a great opportunity. If you haven’t listened to many of the episodes from Christ the Center, their latest podcast is a collection of highlights from this past year. This is a good way to sample some episodes you may have missed.